Mud Grant Channels His Inner Tina Turner – Trees & Flowers & Birds! 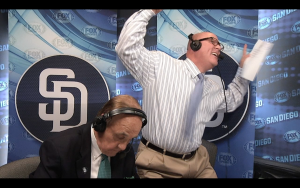 ICYMI last week, Padres TV analyst Mark Grant got his Tina Turner on in the FOX Sports San Diego broadcast booth during the Marlins vs. Padres game. Looks like those extra-inning games sparked something inside Mud Cat.